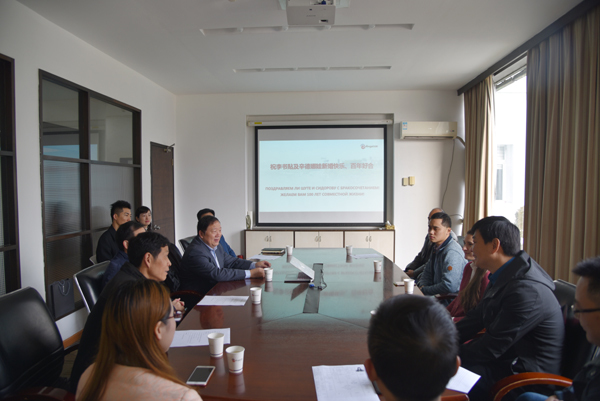 The weather is getting colder and colder since the winter came, but a small meeting room on the first floor of Angel Company headquarters is now warm and harmonious, because a special forum is being held there. Yu Xuefeng, president, Qin Xianwu, deputy general manager and Hao Kaiyin, the assistant to the general manager of Angel, hereby congratulate the marriage of Angel’s two employees—Li Shutie (Chinese) and Sindaneva (Russian). “We are very glad to hear your good news. You got married just at time when Angel Russia Factory went into operation smoothly. On behalf of the company, I congratulate you! You have your affinity because of Angel and I hope that you can also develop yourself on the platform of Angel and run your family life well. You have added a brick to the friendship between China and Russia and I hope that your special combination will promote harmony, understanding and unity between Angel and Russian employees. I hope you will overcome consuetudinary and cultural difference in your future life, respect each other, try to understand each other and make progress together.” President Yu said. Li Shusei and Sindaneva expressed their gratitude to the company for holding such a grand ceremony to bless them. They said they will work harder to create bright future for themselves and for Angel. 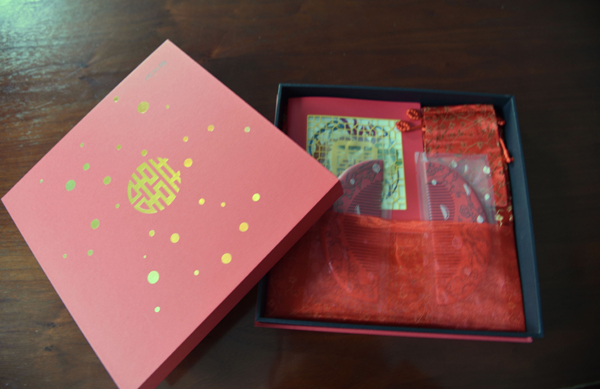 President Yu, on behalf of the company, sent a gift with Chinese characteristics –a pair of “eternal love comb”. There is a saying goes that “First combing, together all your lives; Second combing, harmony in your marriage; Third combing, blessed with many children and grandchildren”. This gift contains the blessing of the whole company. 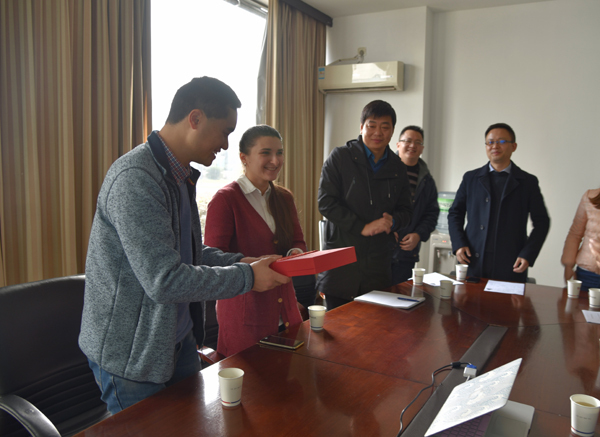 Li Shutie was formerly the maintenance manager of Yichang factory and joined in Russian project department in 2016,responsible for construction and device management for Russia project. He was named the high performance employee of Angel in 2016 because of his outstanding performance. As a result of his outstanding performance, he was named the Group's high-performing employee in 2016.Sindaneva joined Angel company in July, 2016 and is responsible for training and performance management. From the acquaintance, love to tie the knot, Angel witnessed the best time of Li shutie and Sindaneva’s lives.